Lahore has a lot to offer in terms of beauty and aesthetics. The huge number of parks and gardens, not to forget its title as the City of Gardens, are testament to its abundant offerings for those looking to kick back and relax among the flora. Formerly known as Lawrence Garden, the huge complex contains a botanical garden, Masjid Darul Islam and the iconic Quaid-e-Azam Library situated within its premises. Being one of the better maintained public parks, it is home to many green spaces and walking tracks to stroll around and take in the 150 varieties of fruits, vegetables and berries, 140 types of shrubs, 50 types of creepers and a huge variety of flowers. A recreational space with an area of over 67 acres, this park is one of the largest in the city. The park is named after the legendary poet and philosopher Sir ‘Allama’ Muhammad Iqbal and because of its proximity to University of the Punjab, this park attracts huge crowds at all times of the day. 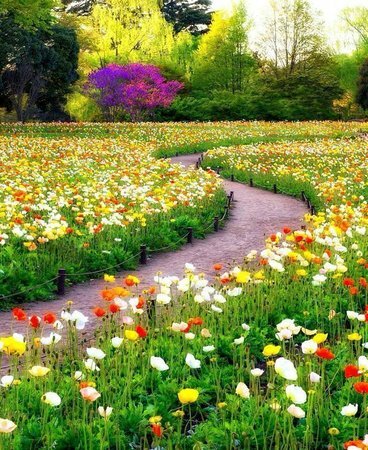 Here’s a garden you can take a stroll down memory lane, quite literally. Built by Ranjit Singh in 1813 to celebrate the capture of the famous Koh-i-Noor Diamond from Shah Shujah of Afghanistan, this place has immense significance for history buffs. One can even listen to traditional Punjabi folktales such as Heer Ranjha and Sassi Punnu from the storytellers in and around the scenic park. This beautiful park, formerly named the Minto Park, accommodates the famous Minar-e-Pakistan, one among the many landmarks in this area. The park now forms a contiguous space with other sites such as the Badshahi mosque, Lahore Fort, Muhammad Iqbal’s tomb, Samadhi of Ranjit Singh and Roshnai Gate. More recently it has been a site for a couple of infamous political tsunami that many have danced fervently at. If the floral and cultural exhibitions organized by the Punjab Government interest you, or you enjoy a game of polo, the Jilani Park may be up your alley. This park was formerly known as Race Course Park and is famous for its lush green lawns and a rather attractive artificial waterfall. The upscale Polo Lounge is also housed within the vicinity of this park (you might want to check their PFA status before you take a leisurely lunch there, though). This park was originally called the Nawaz Sharif Park and is located in Model Town, its namesake neighborhood. It was developed by the then Governor of Punjab, General (R) Ghulam Jilani Khan in 1990 and draws plenty of people venturing out for their morning walks, or simply an evening stroll in the beautiful lawns. While originally an expansive garden, little remains of the original Mughal construction today. The name of this park, Shahdara, translates to ‘the way of the Kings’. It was built as one of the gateways to the city of Lahore and hosts a plethora of Mughal architectural sites. This park is also one of the busiest stops of the Lahore Metro Bus (and hopefully the new Metro Orange Line will end up connecting the city even better). This is also a Mughal era site (no wonder Mughals were so attached to the city, it has so many beautiful gardens and parks), the construction of this garden began in 1641 AD and completed the year after. It is one of the bucket list items for visitors to the city of Lahore and without doubt it is a serene setting with relaxing lakes and soothing lawns. Perfect selfie spot! Some of the facilities that attract people towards this park, despite it being located way out of the city and being a relatively new development as compared to others on this list, are the Forest Research Center, Wildlife Breeding Center, the plethora of food spots, a swimming pool, a theme park, a sports complex and a large lake for fishing and boating. What’s more? Currently funded by Punjab Wildlife and Parks Department of Government of Punjab, you can make a nice picnic basket and hop on to one of the TransLahore buses that will take you straight to this beautiful location away from the city’s hustle and bustle. 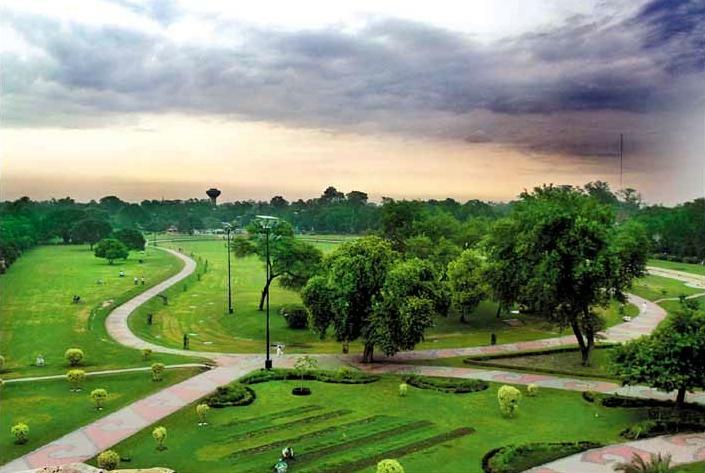 So these are just some of the more prominent parks that adorn every neighborhood of Lahore, many have their own neighborhood parks as their go-to hangout place in the warm summer evenings. 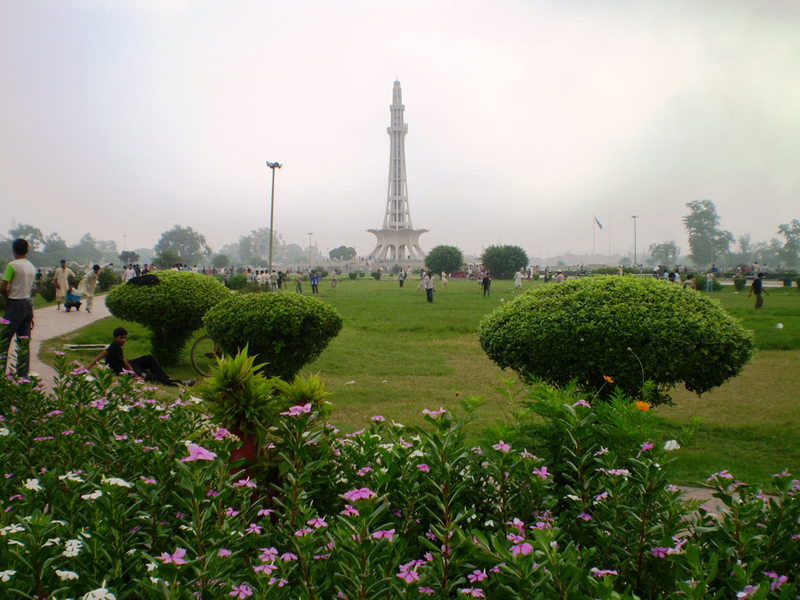 What’s your favorite park in Lahore, to hangout in?